By Amigos Retro Gaming. Discovered by Player FM and our community — copyright is owned by the publisher, not Player FM, and audio streamed directly from their servers. ARG Presents are talking pinball this week...pinball of the late 1990's to be exact! 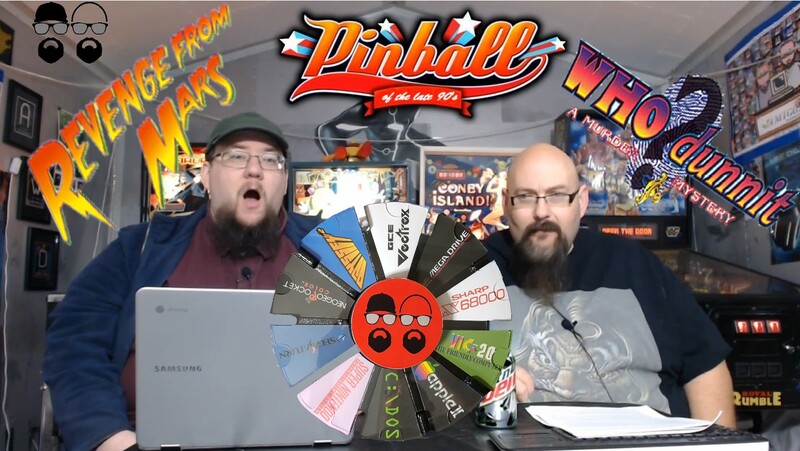 We'll start the proceedings with a chat about PINBALL 2000! Then, stare on in disbelief as we play two machines from Williams - Revenge From Mars and Who dunnit! 64 episodes available. A new episode about every 7 days . The ARG gang is back at it! This week, the Brent and Amigo Aaron go Command(o) Line as we play games from the PC DOS era! Please join us as we tackle One Must Fall 2097 and BIG RED Racing! Download Mp3 (right-click and Save As) Feedback? argpresents@amigosretrogaming.com Watch the show on YoutubeBy argpresents@amigosretrogaming.com (Amigos Retro Gaming). Amigo Aaron and The Brent are back! This week we are taking on the original Apple Macintosh! Prepare for monochrome madness as we have a go at Crystal Quest and Dark Castle! Download Mp3 (right-click and Save As) Feedback? argpresents@amigosretrogaming.com Watch the show on YoutubeBy argpresents@amigosretrogaming.com (Amigos Retro Gaming). Start listening to ARG Presents on your phone right now with Player FM's free mobile app, the best podcasting experience on both iPhone and Android. Your subcriptions will sync with your account on this website too. Podcast smart and easy with the app that refuses to compromise.